The story takes its roots from the Gospel of Matthew in which Jesus and the disciples are confronted by a tax collector. Jesus then instructs Peter to find a coin in the mouth of a fish to pay the tax for entering the city. 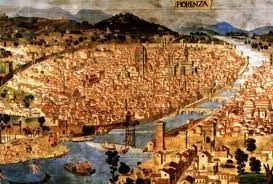 This story is only found in Matthew and has been thought to have been made to support Rome and the Florentine tax reform and that was going on at the time. The painting depicts St. Peter in three different chronological situations. Firstly Jesus and his disciples are confronted by a tax collector, depicted in the central image. Christ says to Peter, "Go thou to the sea, and cast a hook, and take up the fish that first cometh up; and when thou hast opened his mouth, thou shalt find a piece of money: that take and give unto them (that receive tribute money) for me and thee. " Jesus can be seen pointing to his left where Peter is retrieving a coin from a fish. On the right amidst buildings, and a very well done usage of perspective, Peter pays the tax collector. The disciples including Peter and John, and possibly Masaccio himself as he might have painted himself in on the right side, are placed in a semi-circle around Jesus. Other than demonstrating perspective, that Masaccio would later become famous for and influence the Renaissance dramatically, the usage of the semi-circle bonds the men together in spatial unity and shows the unity of God as well as the beauty of symmetry. Behind Jesus, the disciples are looking in different directions: some looking at Jesus and others looking at Peter. It has been thought that this was done to illustrate the Jews' skepticism but more liking the painting is demonstrating Peter's right to be Jesus' successor as the disciples now look to Peter. From Peter, from his rock, comes forth the Pope and the Church, thus depicting the direct lineage of power, right and authority. Peter is depicted with a confused face and it is thought by some people, that he disagreed with Jesus as much of the Jews did in that time. The traditional Jewish view point was to give everything to God as all belonged to God and not to the state. The state demanded something that was not theirs and Peter, like many of the biblical Jews, did not want to pay but obeyed Jesus in the end. In the Gospel of Matthew we find a few instances where the issue of money and authority is taken up. The story behind Tribute Money is often seen in connection with another famous story from Matthew 15-22:22. A group of Pharisees try to trick Jesus and get him into trouble with the law and asked him if it is lawful to give him to the Caesar, who has his picture printed upon a golden coin. Jesus replies, "Render therefore unto Caesar the things which are Caesar's; and unto God the things that are God's. " The parable is often used to justify state authority and the giving, and demanding, of taxes. In this case the level of authority could be interpreted in a few different ways. 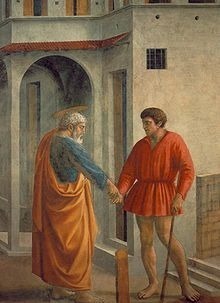 Although not the most common theme in painting, it has been thought that Masaccio painted this, or was commissioned to painted, due the circumstances between Florence and Milan and the wanting approval from Rome. To understand this painting, or why it was painted, it is important to understand all of the frescos in the Brancacci Chapel. The Chapel of Santa Maria del Carmine contains a series of frescos attributed to Masaccio and Masolino and were later finished by the painter Filippo Lippi in the 1480s, depicting the life story of St. Peter, the family's patron saint and the founder of the Roman Catholic Church. If the Brancacci family wanted the church in Florence to pay taxes, this painting could be used to convince the church of secular authority. 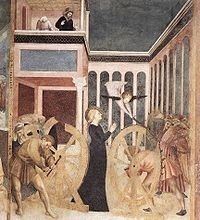 It has been suggested that this painting was in support of the income tax reform of 1427 but the Brancacci Family would have probably stood to lose money from the tax reform, so it would seem odd that the family would support tax reform. It is most likely that the Branncacci family commissioned this for the public to convince them of their need and of the Branncacci right to ask for taxes during the Lombari Wars against Milan. 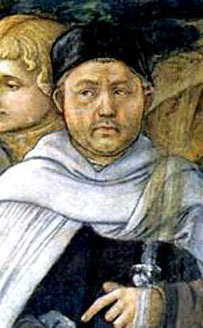 Another idea is that the Brancacci wanted the church in Florence to be taxed. Felice Brancacci, who probably commissioned the work, was a silk merchant and was involved in Mediterranean trade and on the board of Marti Consuls. 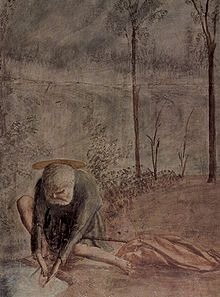 This idea has been supported by the painting itself when Peter takes the money out of the fish's mouth, as Florence gets its wealth from the sea.